When I first laid eyes on Lauren’s blog, Sincerely, Lo (formerly Mintgem), it was love at first sight. Lauren reminds me of that girl you knew in school that everyone wanted to be. Her style is so darn cool and effortless, and I find myself noting details about her outfits (that I try and imitate later), on a daily basis. Yeah…I’m sort of obsessed with Lauren’s style. Oh, and I forgot to mention…Lauren makes KILLER jewelry. Lauren’s impeccable taste in fashion definitely translates to her jewelry, Mintgem. Every piece is cool and edgy, and her bracelets look great stacked, to complete that ever coveted arm party. Yeah guys, once again, I’m obsessed! Lauren often showcases her pieces on her blog, but they can be purchased in her Etsy shop HERE. Hello! My name is Lauren! My blog is called Sincerely, Lo. 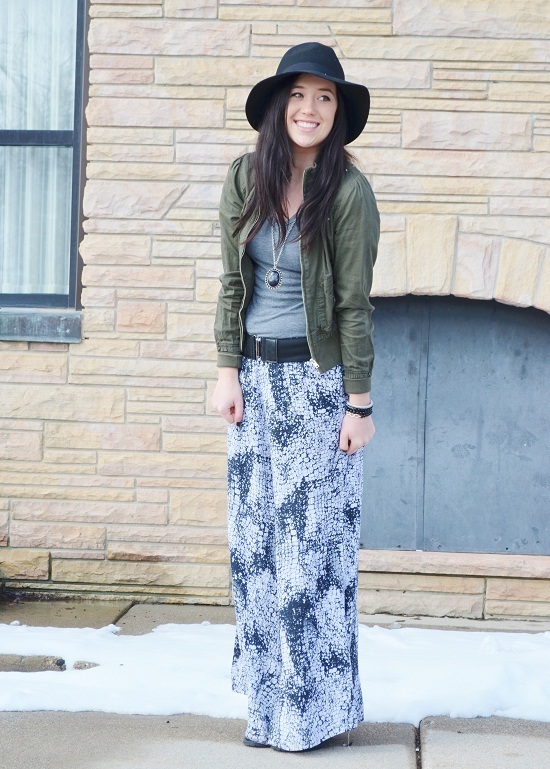 I want to thank Ashley for letting me guest post for her February “Yeah…I really own that!” It forced me to pull out a piece of clothing I bought last summer, wore once, and stuck in the back of my closet. I found these pants at TJ Maxx and for some reason they struck my eye and wallet. 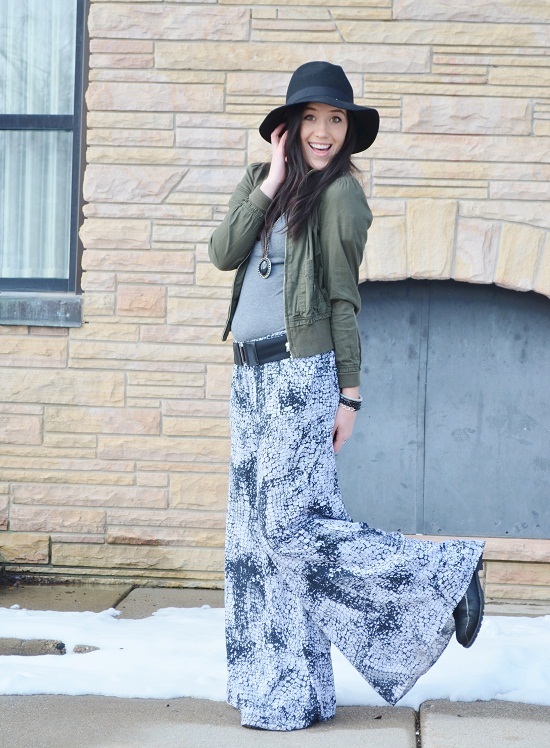 I thought they were super cool and I liked how they were pants but almost appear to look like a maxi skirt! I am all about comfort, people! 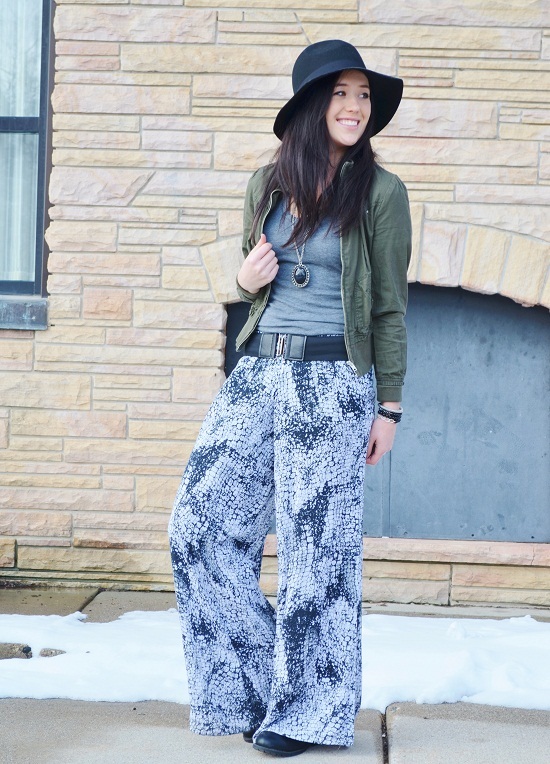 So anyways, for this post I decided to pair these interesting pants with some of my favorites! Thank you so much for reading and be sure to stop by my blog, Sincerely, Lo, and say hello! Also, THANK YOU for that amazing comment on my last post. 🙂 Definitely put a smile on my face. Haha, GIRRRRL POWER! Those are actually pretty awesome pants. I mean, they are comfy looking. Don't think I could ever pull them off myself, though! Love this look! You look gorgeous girl! I thought at first it was a maxi skirt! She totally pulls these off…I'm GLAD she owns them!